When I think of Summer, I think of fun filled days at the beach. When we were younger we would get there in the morning and stay till the sun would set. 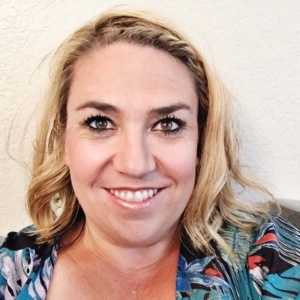 My Mom would pack our lunch, but would always surprise us with a few dollars for my sister and I to head to the snack bar and buy and ice cream. My sister was a fan of the ice cream bars, and I could not wait to get my hands on a choco taco. 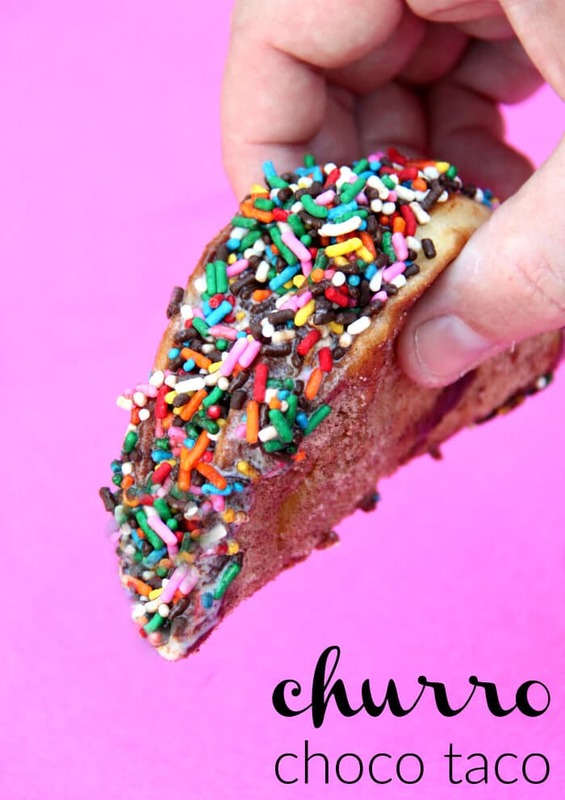 I mean, who doesn’t love a dessert taco? 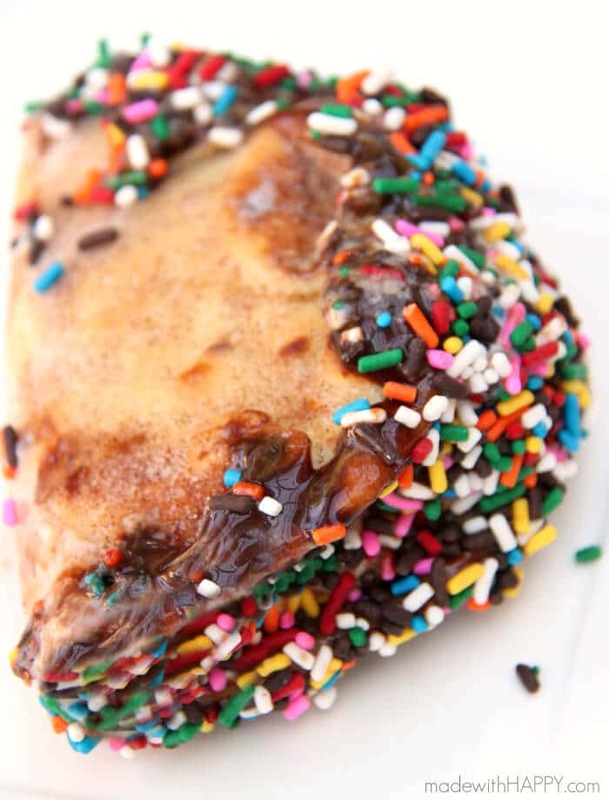 Lately I have been thinking about dessert, okay, more like dreaming about it, and I realizing that I could come up with an even yummier version of my childhood favorite on my own. First off, I’m OBSESSED with churros? 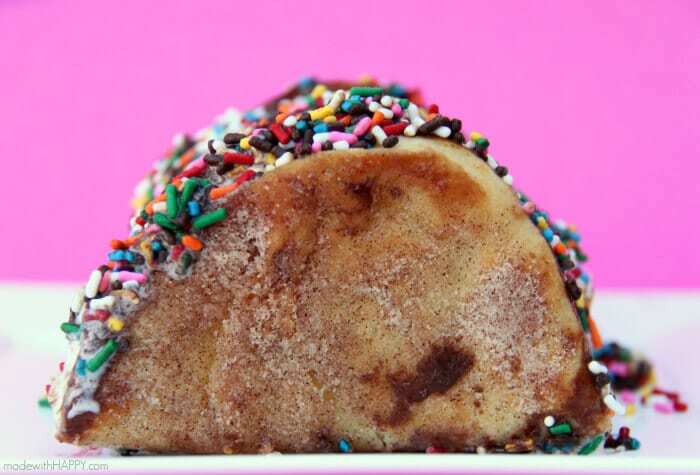 I am not sure if its a growing up in San Diego thing or just a cinnamon sugar thing, but if I can make, eat, or swim in anything churro I will. 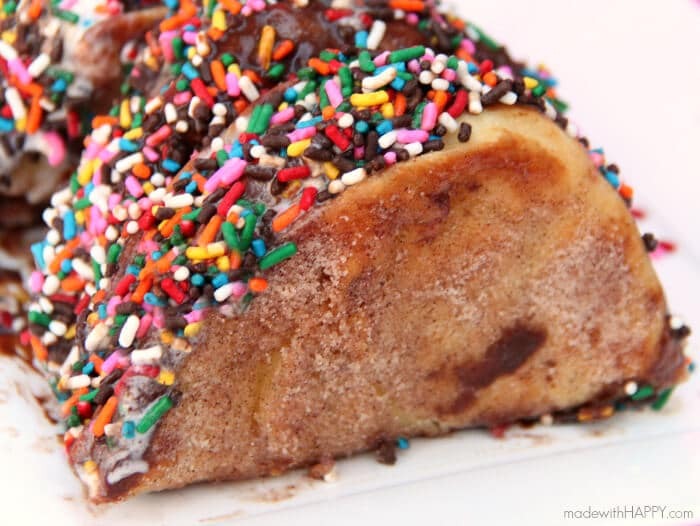 🙂 I knew I wanted the “taco shell” to be a churro and so it was just a matter of coming up with something that would give me a similar consistency. 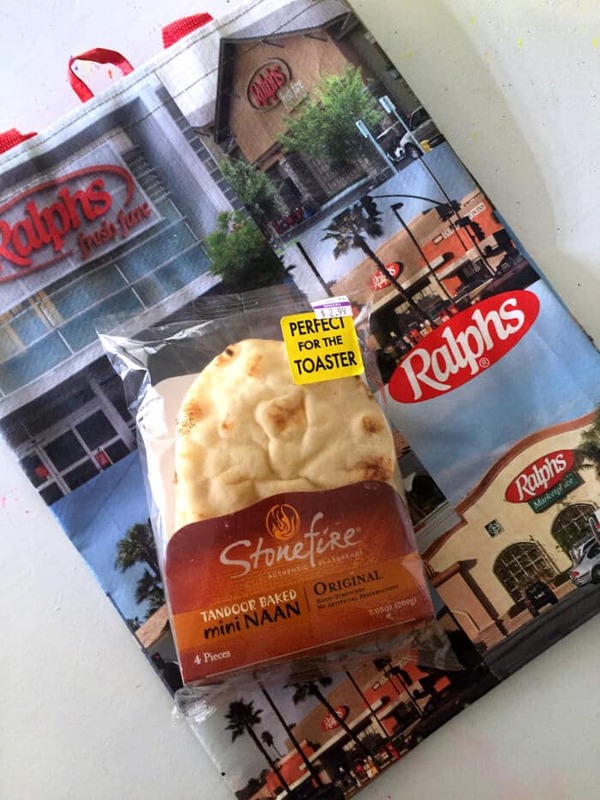 Lay out your mini naan on a baking sheet and place in the oven for 3 minutes, and flip over and do another 3 minutes on the other side. 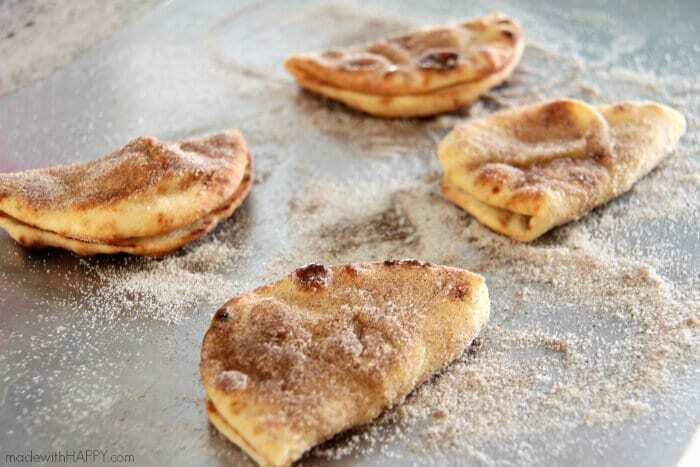 In a small bowl mix together your sugar and cinnamon. 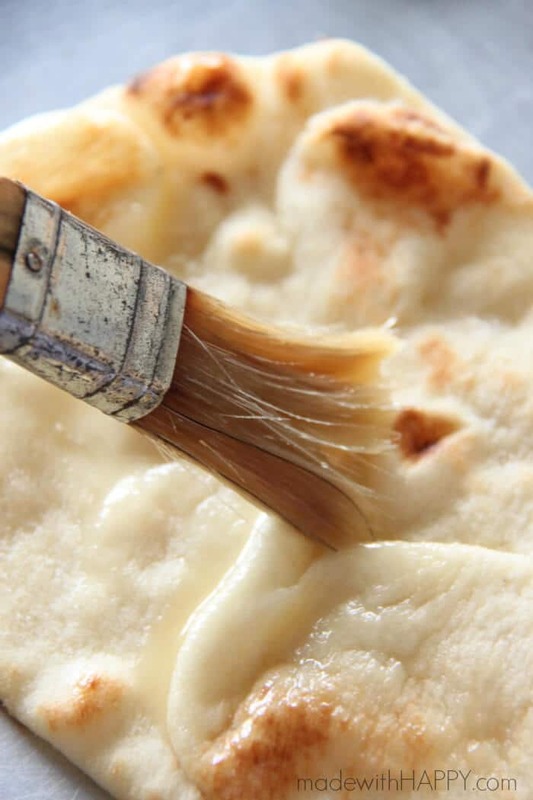 Pull out the naan out of the oven and brush on the melted butter to each side of the naan. 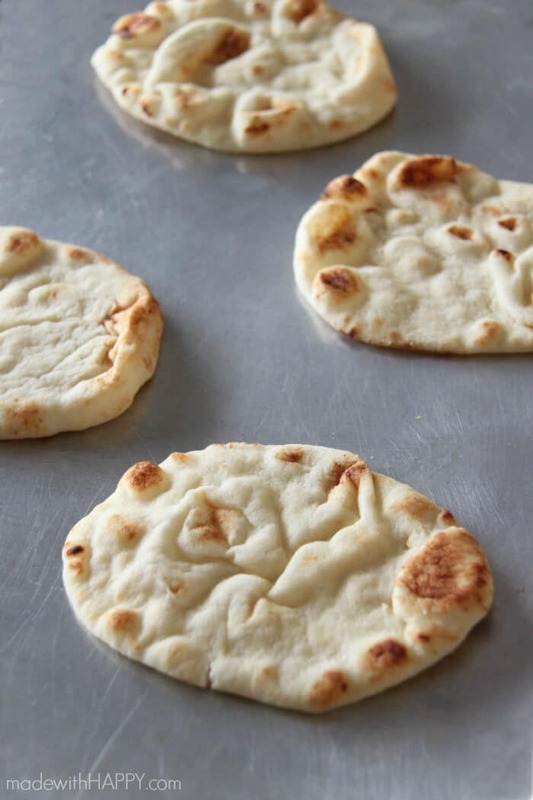 Then sprinkle with cinnamon sugar mixture to both sides and then fold the naan in half making a taco like shape. Then back into the oven under the broiler for 30 seconds to 1 minute making sure to not burn. Pull the shells out and let cool completely. You want to make sure the shell is completely cool, otherwise you will have melted ice cream and it will be a big ol’ mess. (I learned the hard way). Next, in two wide mouth shallow bowls, pour your hot fudge in one and your sprinkles in the other. 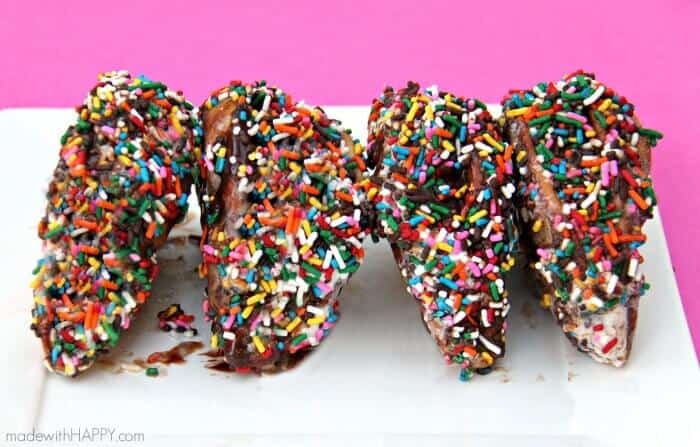 Scoop one to two scoops into each taco shell and then dip the top of the taco into the hot fudge and then into the sprinkles. I placed the four taco into a square glass baking pan and then placed them into the freezer for 30 minutes to harden up the chocolate. The shells are super churro-y and delicious and my kids have declared that they want these every single day of Summer. 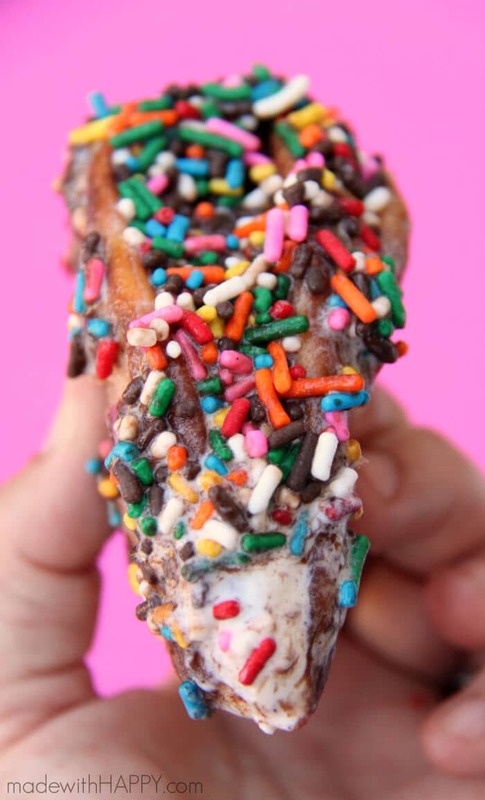 I’d love to hear what your favorite childhood Ice Cream snack was/is?